We love our customers and they love us. Our relationship doesn't end when we've built a website or achieved a page 1 ranking on Google. 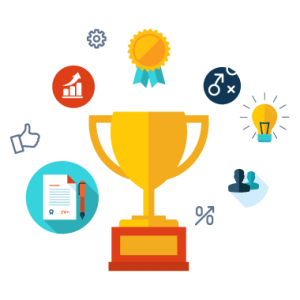 We work constantly to make sure businesses grow and fulfill their online potential with us by their side. "I was so impressed with the final outcome of my website, they worked really hard helping me go live as soon as possible and most importantly, portrayed the feel and look I wanted." "In working with Samson at no point did we feel we had made the wrong decision to use them and the end website result came in on budget and exactly as we wished." "We are really pleased with the re-design of our website, and would highly recommend Samson. All our original amendments were done promptly, the website was delivered to the agreed timescales and communication at all times has been fantastic." 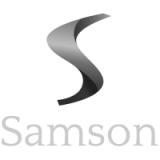 "We used Samson for our new site. We have found Samson to be clear, communicative and easy to work with - we are also very pleased with the design which fulfills our brief completely." "From the initial meeting to discuss the ideas - right through to final sign off of the webshop - we felt that they listened to all our ideas and carried them out to the letter." "I would not hesitate in recommending Samson to anyone else. They were professional, friendly and, above all, helpful throughout the process." "Having spent nearly a year being let down by various web design companies, we were lucky enough to have Samson recommended to us."